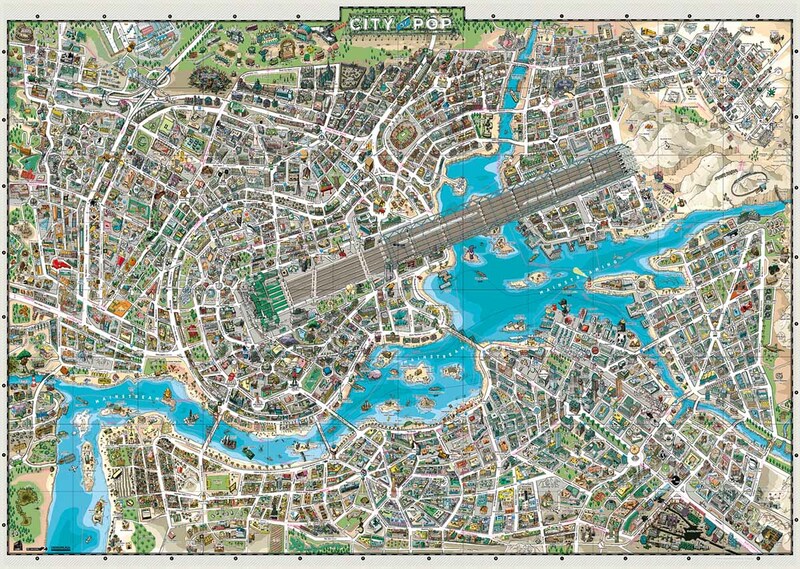 In the 2000 piece jigsaw puzzle, City of Pop by Heye, an aerial view of the City of Pop is depicted. From above, streets wind through the city, forming a guitar shape. A body of water filled with boats and islands accompanies the side of the guitar. Buildings of all kind are everywhere including restaurants, schools, houses, and of course, music venues. This puzzle is a wonderful and challenging activity to whip out for the whole family—especially if you love music!